Be quick to learn and understand the requirements for ISO 9001:2015 by attending TIEC’s technical transition training course. Get the tools and gain knowledge about how API Spec Q1 9th Edition can meet the new ISO 9001:2015 requirements, and how it’s applicable to the Petroleum and Natural Gas Industry. TIEC’s technical transition training class will reveal important new elements of ISO 9001:2015 in a comprehensive and concise environment, which includes group participation, interaction and discussion on the fundamental topics of ISO 9001:2015 with an emphasis on these new requirements. TIEC has provided assistance in the development, implementation and maintenance of Quality Management Systems and its experienced trainers bring a wealth of knowledge to the attendees of this training course. This two-day course will provide an informative look as an overview of common areas and gaps between the API Spec Q1 and ISO 9001:2015, using the existing framework of the API spec Q1 system to meet the requirements of ISO 9001:2015. This course identifies the gaps between API Spec Q1 and ISO 9001:2015 in order to achieve compliance to both ISO 9001:2015 and API Spec Q1. 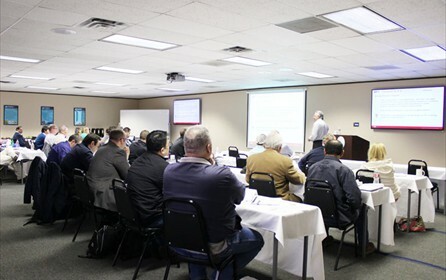 Upon completion, attendees will have an understanding of the requirements of ISO 9001:2015 and how their API Spec Q1 Quality Management System can comply with ISO 9001:2015, transiting from ISO 9001:2008 with additional requirements. Mr. Don Kemper, is a quality management and auditing professional with 36 years of experience in quality operations, supply chain assessments, vendor audits, audit management, technical advisory services, quality assurance, pipe, coatings and equipment inspections, HSSE, warehousing, and training. Don’s auditing experience includes ISO (9001, 14001, 18001), API, PED, and Registrar Certification. Quality Management Systems and projects include: Upstream and downstream manufacturing, drilling, exploration in petroleum industries located worldwide in over 20 countries. Don has participated for over 23 years on the American Petroleum Institute’s (API) Standardization Committees serving on subcommittees: SC 5-Tubulars (API 5L, API 5CT API 5B), SC18-Quality (API Q1, API Q2) and SC20-Supply Chain Standards. Don is an experienced API Q1 and Q2 Senior Auditor having conducted Q2 Beta, Mock, GAP and Certification/Licensing audits for the API and is approved for over 40 API Product Standards. He holds numerous auditing and inspection certifications, such as IRCA, RABQSA and API, plus is an approved auditor for several of the world’s largest oil, gas and service corporations. Formerly an API Master Trainer of API Q1 and Q2 Specifications, he has trained on a number of other API Product Specifications as well. Don has been a guest lecturer in the energy industry for over 20 years for various associations and at numerous industry events.